Republic Monetary Exchange (RME) is a full service precious metals brokerage firm. At RME we facilitate private, over-the-counter purchases to owning a gold or silver IRA. With more than 43 years in the precious metals industry, our CEO Jim Clark, has handled tens of millions of coins. 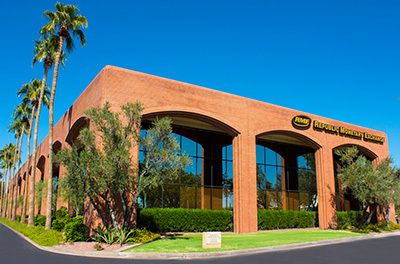 We have served thousands of customers both local and nationwide, making RME America’s premier dealer in precious metals. With thousands of clients served to date, we pride ourselves in offering each client a personal Account Executive to manage their account at RME. Moreover, each client receives ongoing consultation about their investment needs and overall long term goals. Our clients’ needs are always at the forefront; this is reflected by our constant willingness to engage with and educate our clients through seminars, online education, and market updates. Our goal is to ensure our customers receive the most competitive prices. Our in-house purchasers are highly knowledgeable in the precious metals market, and this translates to savings for our customers. Clients can also feel confident when they make a purchase from RME that they will receive 100% authentic, high quality products. We offer a wide array of precious metals including gold, silver, platinum and palladium. Our selection of Bullion Coins & Bars to Premium Investment Grade Coins will guarantee to satisfy the needs of most investors or collectors. We are confident we can find the finest of coins. RME sets itself apart with our same day competitive buy-back options. Clients can walk in or ship their metals to our office to sell their precious metals and receive prompt payment. Our competitive pricing also translates when clients are ready to sell and they can feel secure knowing they are walking into a hassle free, no pressure environment. While we do business at the local level, RME has also shipped thousands of packages nationwide. Clients can feel safe that their products will be delivered securely. Our signature service includes five star packaging, fully insured and expedited shipping. As a courtesy to our clients, we provide on-site security facilitated by Phoenix, PD. Our officers provide round-the-clock surveillance, so customers can feel safe during all business transactions.